Whether driven by thriftiness or curiosity, you won’t regret a visit to Carpe Librum. Instead of hitting up a crowded store like Politics & Prose, come here to browse books in this bare-bones space. It may not be brimming with armchairs, but you’ll find books on just about everything – from history and politics to sci-fi and thrillers, and even inexpensive textbooks and reference materials. You can also purchase donated art. 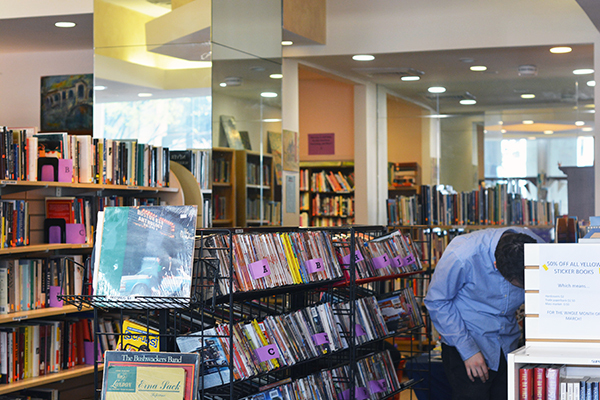 Sitting only a block and a half from the Farragut West Metro station, Carpe Librum is not just a used bookstore, but a sort of Goodwill for books – selling donated books at low cost to raise money for Turning the Page, a D.C. charity that supports childhood education and literacy. The bookstore is staffed mainly by volunteers and sells books, CDs and DVDs all for less than $4. So while you may not find the popular book you’re looking for here – the selection is rather hit-or-miss, with mainly older books – you should come to expect the unexpected. Who knows? At this unique bookstore, you might just find your new favorite novel.